Zbigniew "Saberman" Zielinski is on the ball again, as after previously sending us all those cool heads up via our email, he's now found another game worth mentioning, which is ' OpenFire ' by KaiN, Selur and Softiron. Now according to Saberman, OpenFire is a Amiga 2D action game inspired by Fire Power and Return Fire. The game is currently in development but is available for download via GitHub and requires at least an OCS AMIGA, 68000 14MHz CPU with 2MB Chip ram! 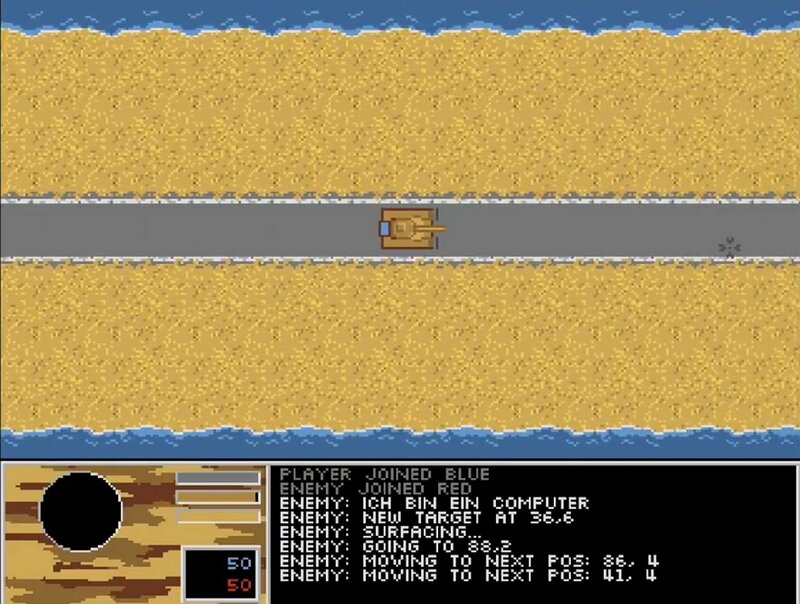 After starting game with the screen viewed in a top down view point, you have to choose your team and vehicle which so far includes either a Jeep or a mighty Tank. Once your selection is made, it's down to you to blast away enemies and conquer other bases, that will slowly deplete more of your opponents respawn points till you are victorious.